There is no denying that Lagosians are huge on fitness and dieting. It is hard to go past a district without finding at least one gym or a health shop. While these gyms vary in size, type of equipment and staff strength, one thing they have in common are the kind of people that visit the facilities. 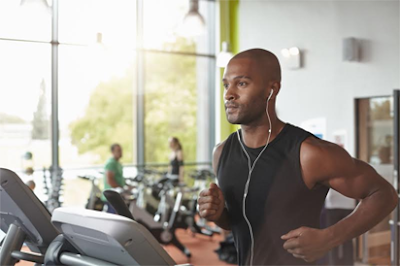 If you have ever been to a Lagos gym, you probably know what we at Jumia Travel are talking about and if you haven’t, here are the types of people at the gym you will usually see. This person is just new to gyming and still has all the enthusiasm of a fresher. He or she is well equipped and has the complete outfit, from head bank to sneakers. Unfortunately, he still does not know how to use all the machines properly but would rather break an ankle on the treadmill than ask for help. Believe it or not but oftentimes you may find the most clueless people attempting to work out at the gym in Lagos. Basically a creep, the “ Irritating Uncle” is at the gym to look at chicks and seize opportunities to cup a feel. They are actually registered and have the right apparels on, but they would rather just stand around making small talk and offering to help unsuspecting ladies or just pick up chicks than actually work out. This is the kind of girl who would probably say something like : “I don’t sweat, I sparkle.” She comes to the gym wearing the most attractive and tight gym clothes, as well as the kind of makeup you’d wear on your wedding day. Her hair is freshly done and her clothes are perfumed. She hydrates and uses her phones more than she actually works out. You are absolutely guaranteed to find the “Selfie addicts” plastered to the nearest mirror having a photo-shoot with their smart phones. This person is not at the gym to work out; he is much more interested in making short videos for Instagram and snapchat and taking selfies than exerting themselves. They take poses and present a highly orchestrated image on social media. The “look at me” gym show-offs This one has the perfect gym body and can easily maneuver any machine in the gym, but then, he likes to show-off. He refuses to work out while putting a shirt on, literally giving everyone else body dysmorphia. He also likes to share tips and offer remedies that have helped him in the past to tackle several issues that may come up.